No matter the time of the year, Vancouver always has plenty to see and do. There are attractions for outdoor enthusiasts, museums and aquariums for rainy days, and as the culinary capital of Canada, the cuisine is outstanding. With its natural landscapes and scenic backgrounds, visitors easily forget that this beautiful Canadian region is in fact a city. Here are the top things to see and do during your holiday in Vancouver. The Vancouver Aquarium is home to 9000 water creatures and includes a walk-through rain forest area with birds, turtles and sloths. Located in Stanley Park, this kid-friendly destination is one of the area's major attractions and is Canada's largest aquarium. Visitors can get up close and personal with some of the animals including dolphins, beluga whales, sea lions, sea otters, and many other sea creatures. The various exhibits teach visitors about the region's marine life and provide a great opportunity to learn more about Canadian wildlife. Queen Elizabeth Park is not only home to several plant species and gorgeous gardens, but it sits at the highest point in Vancouver and offers spectacular 360-views of the city skyline, mountains and shoreline. The park attracts more than six million visitors a year and is one of Vancouver's most popular outdoor spaces. Spread out across nearly 130 acres, the park has several different gardens including an arboretum with about 1500 native and exotic trees. One of the greatest attributes of the park is the Bloedel Conservatory which features more than 200 free-flying exotic birds among the 500 tropical plants and three different climate zones. Outside the conservatory you will see the Dancing Waters fountain display and several other sculptures scattered throughout the park. Granville Island Brewery is one of Canada's oldest microbreweries and offers guided tours that end in the Taproom for sampling. Usually the beer tastings are of the company's lager and cream ale, but if you are lucky and visit at the right time, you will get a chance to try out a small-batch of the seasonal brew. You could get a taste the Lions Winter Ale for robust notes of cocoa, caramel and vanilla or a try of Two Tides India Session Ale that has hints of guava, citrus and coriander for a refreshing summer beverage. There are many Granville Island beers sold in bars and restaurants throughout the entire city. A tour through this brewery is a great time to experience local Canadian beer from the source while also learning about the history of the city's oldest brewery. Kitsilano Beach is one of Vancouver's favourite summertime hangouts for kids and adults alike. Facing the English Bay, this beach has one of the most breathtaking views in all of Vancouver. 'Kits' beach, as it is referred to by the locals, is a popular spot for all beach-goers. During the summer months, a quick dip in the ocean is the perfect way to cool off, however, serious swimmers looking to get their mileage in should check out the heated Kitsilano Pool, which is one of the world's largest outdoor saltwater pools. After a day spent sunning and playing around in the sand, take in one of Vancouver's most signature panoramic views-the oceanfront backed by the glass towers of downtown alongside the North Shore Mountains. On the southern side of the Fraser River lies the George C Reifel Migratory Bird Sanctuary where you will have plenty of opportunities to view some of over 250 species of birds that spend time here. This attraction is not just for bird watchers; one of the most well-known events in all of Vancouver takes place when upwards of 80,000 snow geese visit the sanctuary in the fall. October is usually a great time to catch the early arrival of these birds. Similar views can be seen in the spring as the snow geese follow the migratory salmon to the Fraser River's mouth. While getting a glimpse of these amazing animals, visitors also experience some of the most untouched natural beauty in all of Vancouver. Edible Canada at the Market is Granville Island's most popular bistro with their menu of seasonal dishes that perfectly showcase the best of Canadian cuisine. While you will have to book ahead, this is the best eatery at which to try Alberta beef, Newfoundland fish and several other local dishes. The best way to tackle this amazing restaurant is to share a variety of their small plates and experience the most encompassing taste of Canada possible. The VanDusen Botanical Garden is often described as a hidden gem and is the perfect way to pass away a peaceful day in the heart of Vancouver. The 55-acre estate features a stone garden and a hedge maze, and the commonly most popular Laburnum Walk. The Laburnum Walk is memorable for the yellow blossoms that hang over the entire walk way from the Golden Chain Trees and create a canopy for visitors to stroll beneath. While this covering is mostly in bloom during May, the VanDusen Botanical Garden is beautiful every month of the year. Take a look at the Bloom Calendar before your trip so you know what to expect on your visit. 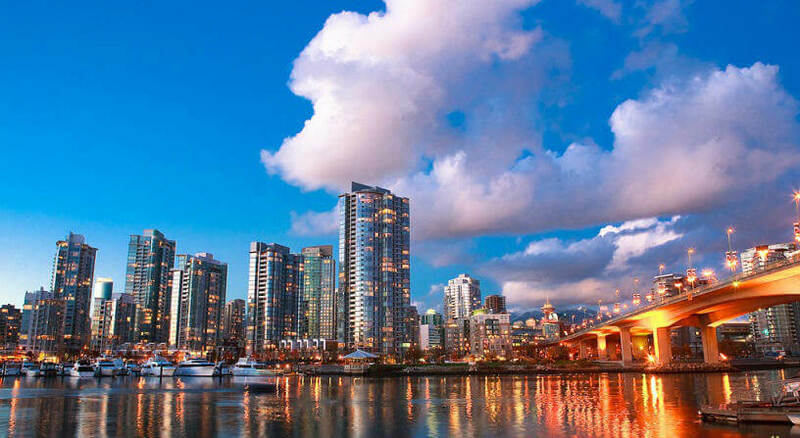 Fully enjoy yourself on holiday in Vancouver by not having to worry about being protected in case of an accident. Be prepared before you set off on your trip with travel insurance!